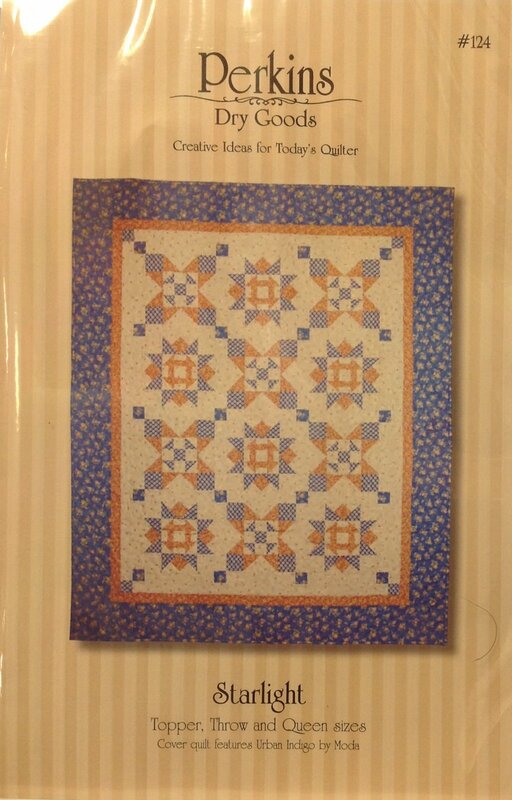 My name is Celine Perkins and I design and publish quilt patterns for Perkins Dry Goods. I discovered quilting in 1983 when I took my first hand piecing class at Glad Creations Quilt Shop in Minneapolis, MN. I quickly realized that quilting was something I could be passionate about. The next class used rotary cutting techniques, and my path was clear and I became devoted to the quick techniques made possible by these tools. This seems like ancient history now doesn't it? I began teaching in the fall of 2000. I teach locally in the Twin Cities area and throughout the upper midwest. I present programs for quilt guilds, teach in quilt shop and at quilting retreats. Professionally, I was trained as an occupational therapist and worked in healthcare for 16 years before changing careers. My experience as an occupational therapist has proved to be invaluable as I continue to encounter many different learning styles in the classes that I teach. Perkins Dry Goods was established in June of 2002, and has grown steadily over the years thanks to the wonderful support of many quilters. Perkins Dry Goods patterns are traditional in their feel and appeal to a variety of skill levels. All are rotary cut and machine pieced. I am available for teaching engagements throughout the year. Please contact me for more information. 9AM to 5PM Central Time, Monday through Friday.